I am owning this Japanese Tsuba and it looks like it is of quite decent quality. But I am no expert. After some research and to my limited knowledge the shape is rather unusual though. 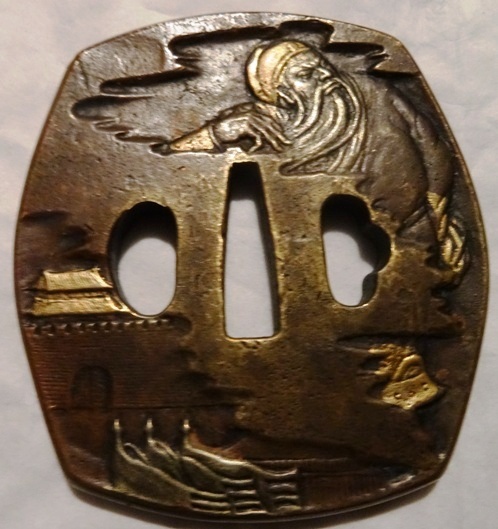 Well can anyone identify the signature on this Tsuba? Maybe it is also possible to determine the age of this piece based on the inscription? Would be great if someone was able to give me some assistance. 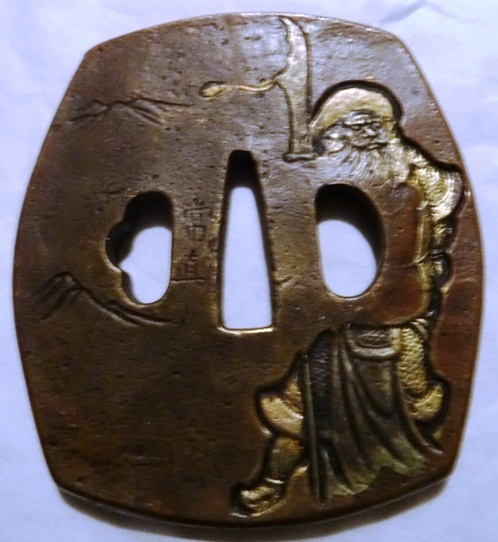 So this Tsuba is from the Ichinomiya School? Or is it rather from the School and after Tsunenao? 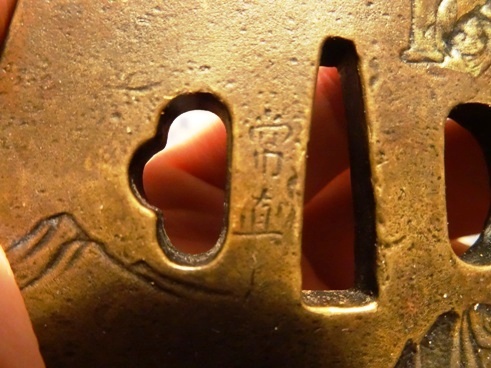 Can anyone tell me what this kind of Tsuba shape is called?